It is very important to understand that the TMJ is not a hinge joint. Most dentists, and even so called «TMD specialists» believe that the mandibular condyle should rest in the posterior position of the joint socket. This is absolutely wrong. 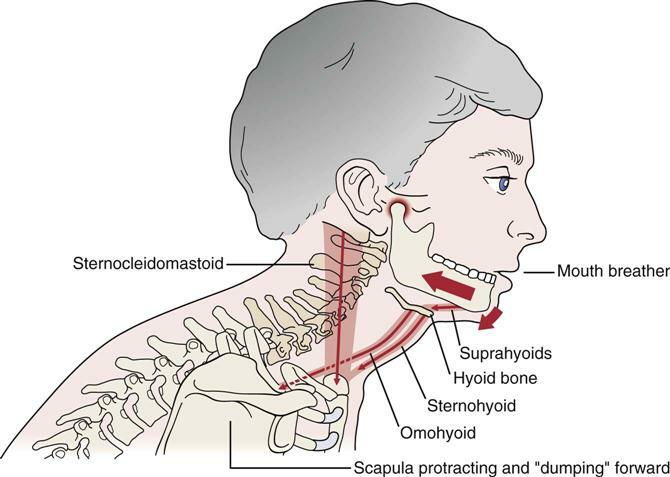 The TMJ is an elliptical joint, allowing movement in all directions, from center. It is absolutely critical to understand that a centrated TMJ is equivalent to slight protraction of the mandible, and not maximal retraction; it should rest a minimum 2-4 millimeters more anterior than complete retraction, preferably more. It is however important to note, that even if you have a very crooked occlusion, you are not doomed to live with horrible posture. Our consciousness and habits may override the body’s automatic postural «baseline», meaning that we can get out of forward head posture or pelvic imbalances by simply being aware of it and avoid letting it happen. You will most likely need to be taught how to do that, but it’s definitely possible and is something I teach my clients daily in clinic. Sadly, many therapists teach their patients to force greater mandibular depression (mouth opening) as an exercise, if mouth opening is restricted. This is highly detrimental and must not be done! The cause of reduced mandibular depression is improper TMJ articulation (lack of protraction) and not a simple «tight muscle»-problem. Patients who are exposed to these quacky protocols will end up getting worse and not better, as the TMJ is crushed due to lack of mandibular protraction! The TMJ restrictions are infact the body’s way to try to hinder further damage and excessive compression to the joint socket. There are two main types of displacement: with, and without reduction (WOR). «With reduction» means that the mandibular condyle is able to pop back onto the disc, causing the infamous «pop» as the jaw opens. If the disc is severely displaced, it may be unable to slide back into position between the temporal bone and mandibular condyle as the mouth opens, and this scenario is referred to as «without reduction», which sometimes cause the joint to lock up or greatly restrict in mobility. There are two main entrapment points for the trigeminal nerve. One is behind the mandibular ramus; the auriculotemporal part of the V3 mandibular branch (this is also called «Costen’s syndrome»). Excessive retraction of the mandible may compress this nerve between the mandibular ramus and temporal bone. This can be confirmed either by purposely retracting the jaw during opening and closing of the mouth, or by pushing into the nerve manually with your fingers. If this reproduces the symptoms in question, it is indeed affected, meaning it’s being compressed due to a continuously retracted position of the mandible. Information on how to deal with this is the main topic of this article, and will be addressed shortly, in the ‘Correctives’ section. Teeth clenching during stress, mouth breathing, etc, must also cease. 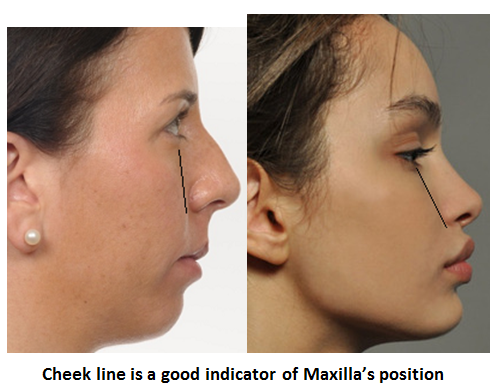 Jaw clenching often reduce or cease on its own when proper resting position is assumed, as it’s not possible to protract the mandible and clench the molars simultaneously. Mouth breathing however, may be more difficult to stop with if the airways have been restricted as shown in the initial video in this article. If this is your or your patient’s problem, I recommend looking into the «Buteyko breathing method», which addresses this issue. I don’t know, I need to examine you. Probably, if it was induced by dental treatment.